Kids — win a Kindle Fire. Teachers — win an Amazon gift card and an Energy Learning Experience! Mountain View Electric Association, Inc. (MVEA), your local electric cooperative, is proud to offer our annual Electrical Safety Poster Contest! All K-5 students can create a poster showing us how to be safe around electricity. The poster contest will run through March 4, 2019. The overall-winning poster will be featured in Colorado Country Life magazine and on electrical safety advertising during May, which is National Electrical Safety Month. Each grade-level winner receives a Kindle Fire, the winning student’s teacher receives an Amazon gift card, and for the classroom – an Energy Learning Experience! If you have any questions please contact Erica Meyer at 719-494-2654. 2019 Youth Program Informational Packet. 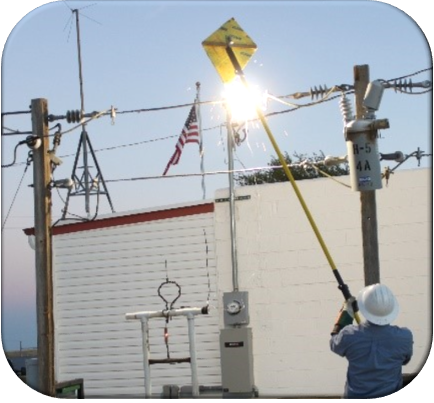 Geared to any age group to educate the audience on how to be safe around electricity and how electricity is generated and transmitted over power lines. MVEA has high voltage displays suitable for indoor and outdoor demonstrations. Contact 719-495-2283 to schedule a demonstration. 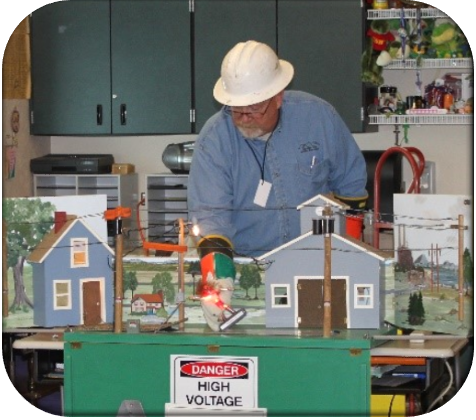 A 60 minute safety program presented by Tri-State G & T, in partnership with Mountain View Electric Association, Inc., that explains how electricity is made and how it gets from the power plant to your home. This is a hands-on program that includes a Van de Graaf generator, plasma ball and more. If you have any questions please contact Erica Meyer at 719-494-2654. This is an electrical education publication for youth. Download the Student and Teacher for free (PDF). If you are interested in the print version please fill out the order form in the informational packet and email it to communications@mvea.coop. If you have any questions please contact Erica Meyer at 719-494-2654. If you have any questions or would like to take advantage of these free programs please call us. We look forward to working with you!